The year 2008 is remembered for quite a few important economic events. It was the year of the Great Recession, the year that Goldman Sachs transitioned from investment to commercial banking and the year that witnessed the launch of the first robo-advisor, Betterment. Since then, robo-advisors have evolved from being a means to balance assets and manage passive investments to virtual financial planning services. Modern-day robo-advisors are automated, algorithm-driven digital platforms that provide investment management solutions, requiring little to no human intervention. The rules, however, remain the same. Robo-advisors, similar to their human counterparts, are required to register with relevant authorities in order to conduct business. The easy access to these platforms and the automation provided by these AI robots is instrumental in facilitating self-management of financials. Over the years, the technology that drives robo-advisors has advanced and with it, the way they function. Primarily, the platforms would operate by gathering client inputs through an online questionnaire and filtering suitable investment options by analyzing market conditions. The client would then receive portfolio allocations based on the inputs provided. This process did not involve any bank-API or broker-API, meaning the buying and management of investments was still largely manual. As the technology upgraded, functions like dedicated fund management, risk-based portfolio allocation, and algorithm-based adjustments became part of the robo-advisor suite. 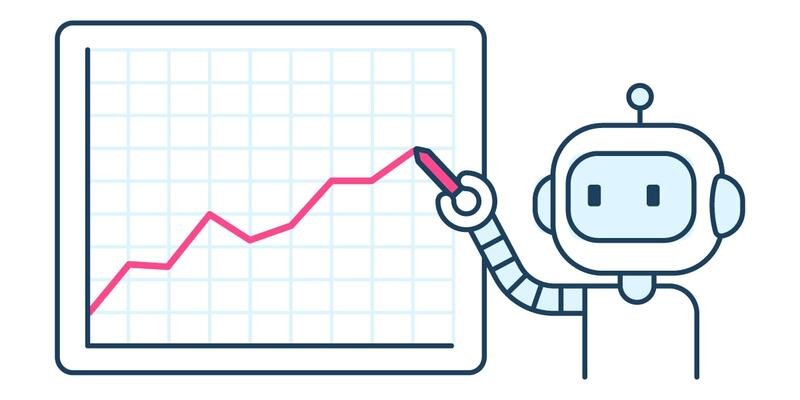 The current crop of robo-advisors come equipped with self-learning algorithms and are capable of completely automating the process of investing. Robo-advisors are, without a doubt, a promising breed of financial technology. That being said, the services offered by these platforms come with its own set of advantages and disadvantages. One of the greatest upsides to implementing robo-advisors is the strikingly lower financial assistance fees. The traditional methods of investing require hiring a human financial advisor that could cost upward of 1 percent of assets under management (AUM). Robo-advisors, on the other hand, charge an assistance fee of zero to 0.25 percent, while at the same time simplifying the process for prospective investors. The platforms also provide the added advantage of availability, allowing users to view and invest in assets irrespective of time and location. Furthermore, robo-advisors are easy to use and their asset listings almost always outperform active investment options in the long run, thus minimizing the chances of high-risk investments. While the advantages of robo-advisors are numerous, there are some downfalls to this technology. For example, threat to sensitive information. Being a platform that manages and contains financial data, robo-advisors are at a potential risk of data theft. With various incidents of data theft, such as the Equifax data breach, this may be a decisive factor in the widespread adoption of robo-advisors. Another problem is the lack of human judgment. While the elimination of human interference has its upsides, the removal of human emotional judgment means that it does not fully understand its human clients. The performance of these platforms, which is completely dependent on their methodology, is based on assumptions that may apply to a majority of clients but not all. Companies that provide wealth management services primarily focus on offering well-researched, expert financial advice to their clients. When we speak of wealth management services, we usually refer to services that target high net worth individuals. One of the most telling ways that robo-advisors are transforming the wealth management industry is by making the wealth management services available to all individuals. Since they do not require the maintenance of a high minimum balance, robo-advisors are very helpful to investors with a small net worth. This has, to a great extent, allowed wealth management companies to provide their services to a previously underserved market segment. Along with reaching new investors, banks and financial institutions are also focusing on providing an enhanced customer experience through these platforms. However, the industry understands the value of human emotional judgment. The need for human intervention in the automated process is inspiring companies to develop and deploy a hybrid approach that combines the best attributes of both human and AI capabilities. The rise of robo-advisors and their acceptance by wealth management companies is apparent from the number of assets that are being managed by these AI platforms. Research conducted on the future of robo-advisors projects nearly $3.7 trillion worth of assets to be managed by robo-advisors by the year 2020. The same projection places $16 trillion worth of assets under robo-advisor management by 2025. Robo-advisors have opened up previously unexplored avenues of opportunity for wealth management firms. However, the strategy that could drive the growth of robo-advisors and the industry depends on the companies themselves. Companies will need to consider factors like technology development, service positioning, and infrastructure in order to fully realize the potential of robo-advisors. The advent of passive investment platforms is one of the most revolutionary trends in the wealth management industry. Players of the industry must now determine how this will help them grow as a business. For a comprehensive market and competitive analysis of the wealth management industry, contact [email protected].